WASHINGTON — With suspicions on both sides mounting, the United States is struggling to preserve its wobbly partnership with Turkey as the Turks entertain closer relations with Russia and fume over a U.S.-based cleric blamed for orchestrating last month's failed coup. 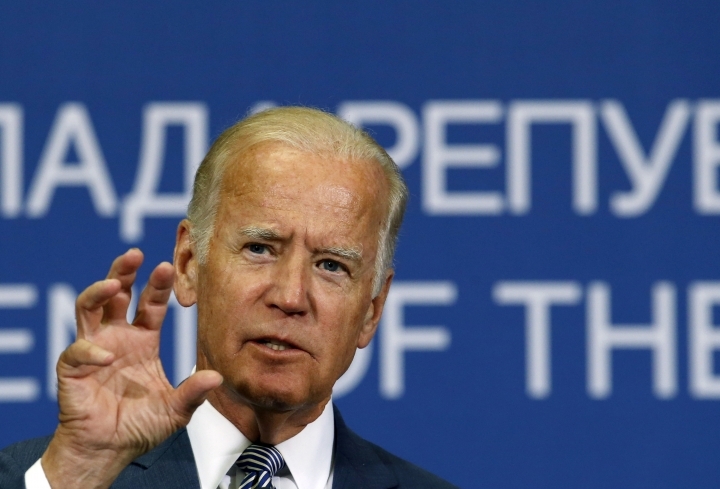 Vice President Joe Biden arrives Wednesday in the Turkish capital, Ankara, to try to smooth over recent strains. He comes bearing no assurances that the United States will agree to Turkey's demand that it extradite Fethullah Gulen, who lives in Pennsylvania. Instead, he'll try to convey that America values Turkey as a key NATO ally amid worrying signs that the U.S. and Turkish approaches to the Syrian conflict may be diverging. Turkey's Justice Ministry said its officials opened talks Tuesday with U.S. Justice Department and State Department officials in Ankara ahead of Biden's arrival. Tensions between the countries were already bubbling under the surface before the coup attempt July 15 and since have burst into the open. U.S. leaders were incensed when Turkish President Recep Tayyip Erdogan accused the United States of either supporting or backing the coup. As the U.S. issued denials, Turkish officials complained that Washington was slow to support Turkey's government at its time of greatest need, even though the U.S. had expressed support for Erdogan during the violence that claimed 270 lives. For its part, the U.S. has been rattled by Turkey's recent diplomatic flirtations with traditional U.S. foes Russia and Iran, reflecting the possibility that a frustrated Turkey could be rethinking its allegiance with the West in pursuit of regional stability. This month Erdogan traveled to Moscow to boost ties and possibly collaboration on ending Syria's civil war, something Moscow has sought unsuccessfully with Washington. And following the Turkish foreign minister's surprise trip to Iran last week, Turkish media reported that Erdogan planned to visit Tehran on Wednesday — the same day he's also slated to meet Biden. A breakdown of ties to Turkey would be problematic for the U.S., which is counting on Turkey to pursue the same approach to fighting the Islamic State group and addressing extremism across the Middle East. Straddling Europe and Asia, Turkey shares borders with Iraq, Iran and Syria, where the porous border permits Islamic State fighters into Turkey and would-be recruits into Syria. But the U.S. and Turkey are unlikely to resolve their dispute over Gulen, who has lived in the U.S. state of Pennsylvania for 17 years in self-imposed exile. Gulen has denied any involvement in the coup attempt. Turkey's government has insisted the U.S. return him to Turkey immediately. The U.S. government wants firm evidence before considering extradition. Senior officials in the Obama administration say Turkey's extradition requests have been based on allegations of other crimes against Gulen, not evidence of involvement in the coup attempt. U.S. officials, who briefed reporters ahead of Biden's trip on condition of anonymity, said Tuesday's talks in Ankara involved a Justice Department team assigned to consider the technical requirements of Turkey's extradition request. The officials said Biden planned to tell Turkey's leaders that their public allegations of U.S. complicity won't help their cause. The U.S. once considered Erdogan a leader interested in promoting democracy and working with America. That optimism has been dampened as Erdogan cracks down on media and other freedoms and puts a premium on opposing outlawed Kurdish rebels — sometimes at the expense, in the Obama administration's view, of focusing on IS. Washington's concerns about human rights and democracy in Turkey have intensified since the Turkish government detained or fired tens of thousands of police, soldiers, teachers and journalists following the abortive coup. The U.S. has been careful not to criticize Turkey publicly to avoid undercutting the overall U.S. message of support for Turkey's government. Turkey's fragile security was highlighted over the weekend when a suicide bomber killed at least 54 people at a Kurdish wedding celebration in Gaziantep, near the Syria border. It was the deadliest in a string of attacks this year in Turkey committed by IS or the Kurdistan Workers' Party. Adding to U.S. worries, Turkish Prime Minister Binali Yildirim recently appeared warm to the possibility of Syrian President Bashar Assad maintaining a role in a transitional government. For years, both Turkey and the U.S. have called for Assad's ouster, insisting he can't be part of Syria's future government. Associated Press reporters Suzan Fraser in Ankara, Bram Janssen in Istanbul and Dan Huff in Washington contributed to this report.